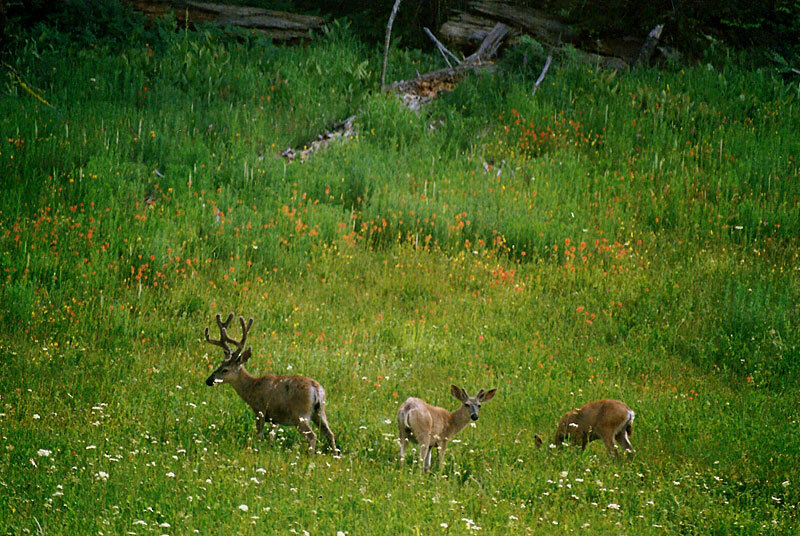 Crescent Meadow, at the edge of the Giant Forest, is a just a short walk from the parking lot. 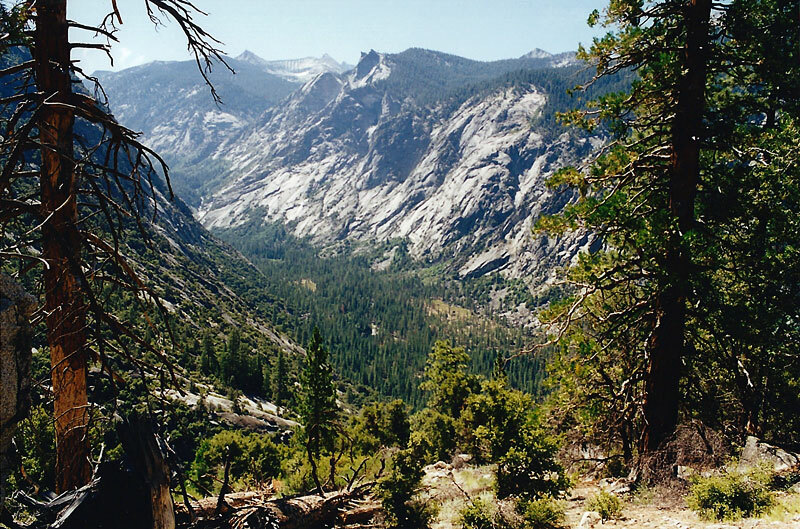 There are numerous opportunities for creating hiking loops which go into the Giant Forest or connect up with the High Sierra Trail for a great view of the Middle Fork of the Kaweah River. 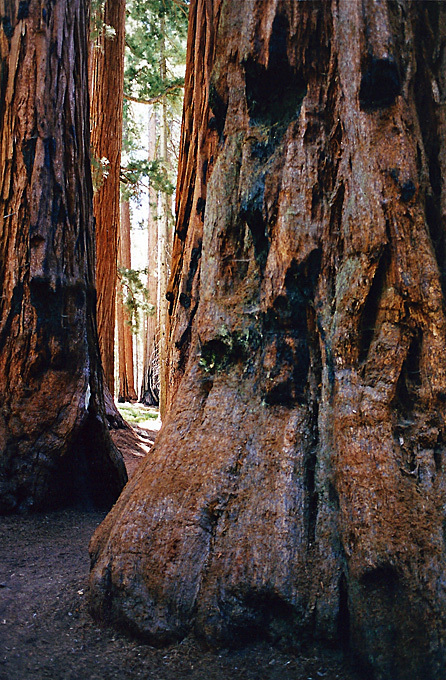 This picture of Giant Sequoias was taken along the crowded Congress Trail, an easy 2 mile loop which starts at the General Sherman Tree, the most massive tree in the world. Take one of the many trails branching off of this one and you'll immediately leave the rest of the crowds behind. 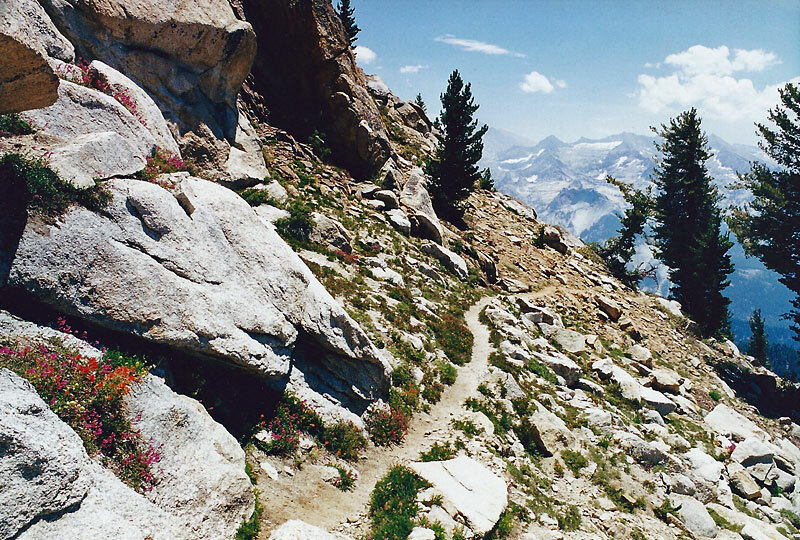 The trail to Alta Peak makes for a strenuous dayhike, climbing 4000 feet in 7 miles, with half of the climb coming in the last 2 miles (14 miles round trip). Fortunately, the scenery is beautiful all the way, as shown by this photo about 1 mile from the peak. This picture of Pear Lake was taken from the top of Alta Peak. 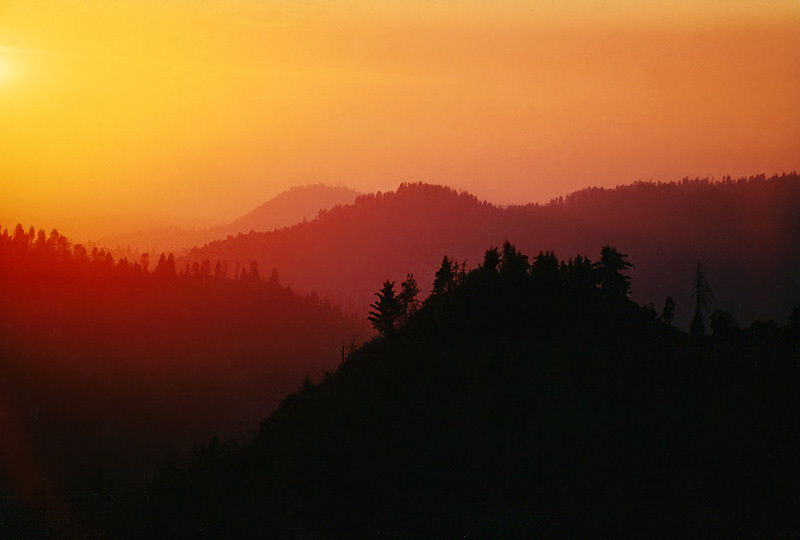 A short but steep climb takes you to the top of Moro Rock for excellent views, including the sunset seen here. 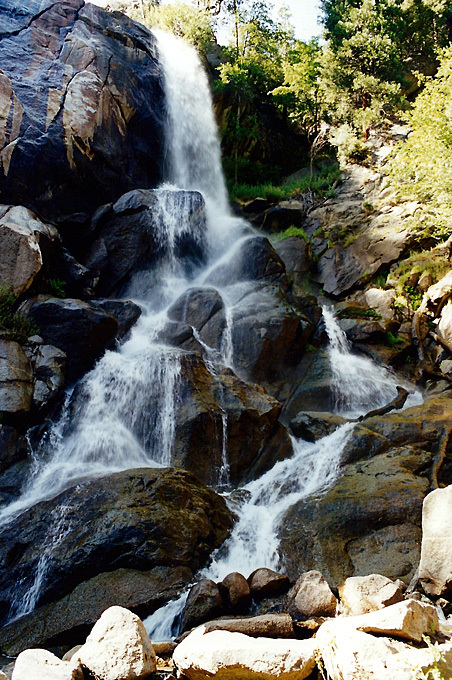 Grizzly Falls is by the side of the road just before you enter the official boundary of Kings Canyon National Park. 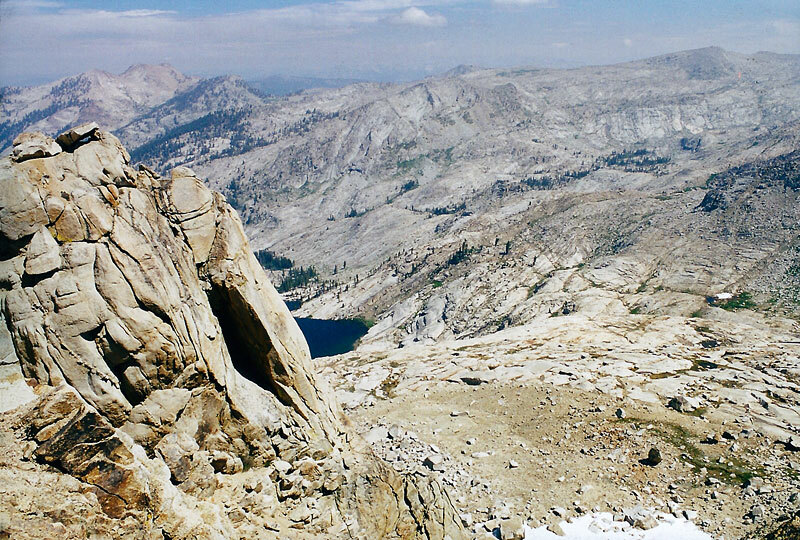 Kings Canyon is a dramatic glacial valley, but with limited access and viewpoints. This view from the Copper Creek trail required climbing 2500 feet on 3 miles of hot, dusty trail (6 miles round trip).